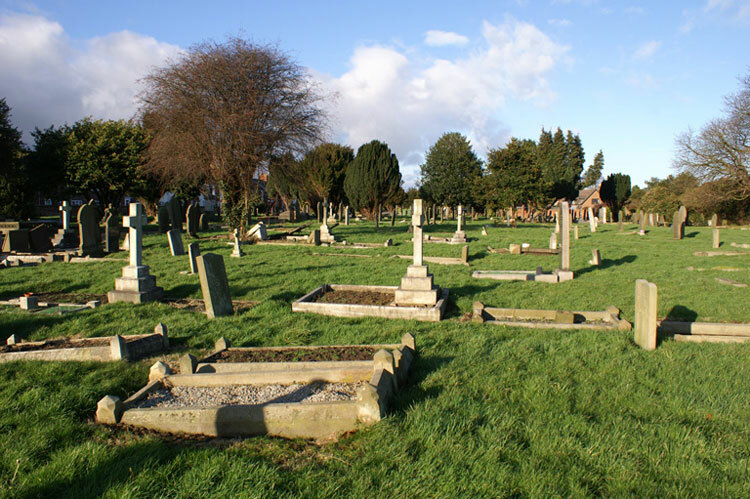 The Beverley (St. Martin's) Cemetery contains 21 First World War burials and 1 Second World War burial. 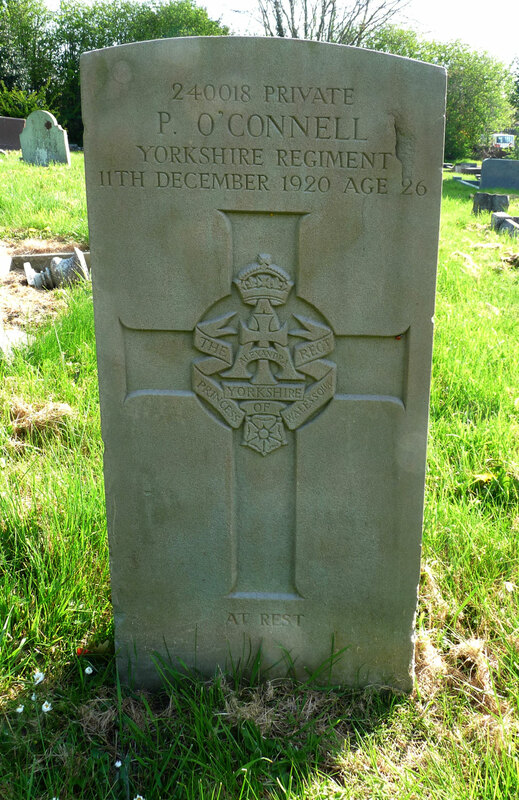 Three soldiers who served with the Yorkshire Regiment are buried in this cemetery, and there are also two family memorials for soldiers who served with the Yorkshire Regiment. We are very grateful to Mike Berrell (<mike_berrell@ntlworld.com>) and Iain MacFarlane of the Find A Grave website for their photographs of the cemetery and of the headstones. 5th Battalion the Yorkshire Regiment. Son of William Henry & Mary Ann O'Connell. Husband of Margaret O'Connell, of 5, Lurk Lane, Beverley. Died at home 11 December 1920. Aged 26. Born Flemingate (Beverley), Resided Beverley. (Fought with the original 5th Battalion. First in France, 18 April 1915. Regtl No 268). Private Albert Edward Smith. 24558. 3rd Battalion the Yorkshire Regiment. Son of John & Annie Smith. Husband of Maud Smith, of 38, St. Andrew St., Beverley. Died at home 7 November 1918. Aged 34. Private Alfred Watson Walker. 287408. 3rd Battalion the Yorkshire Regiment, formerly East Yorkshire Regiment. Son of William Edward & Charlotte Jemmina Walker. 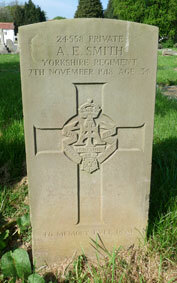 Husband of Edith E. Walker, of 15, Sandress Lane, Beverley. Died at home 6 November 1916. Aged 36. Born Beverley, Enlisted Beverley, Resided Beverley. 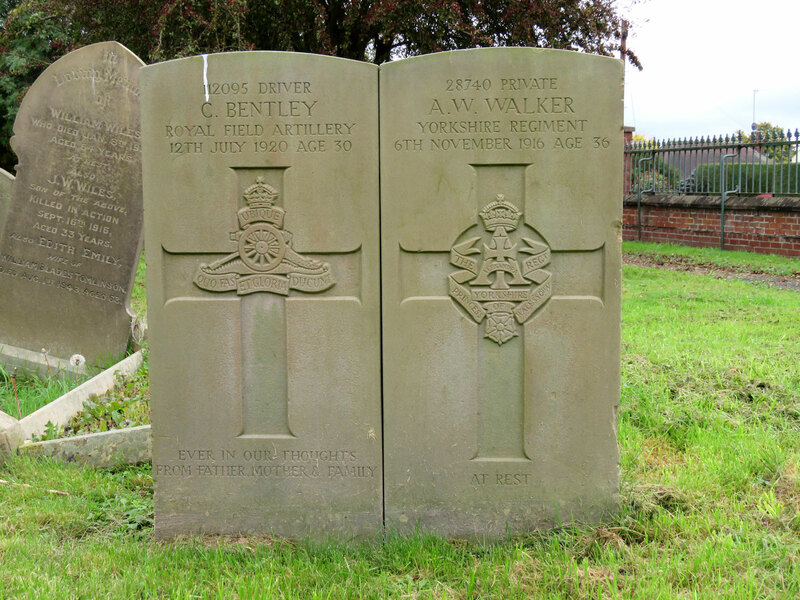 When the full-sized image of Private Walker's headstone is viewed, it will be seen that his headstone is beside that of Driver C Bentley of the Royal Field Artillery. 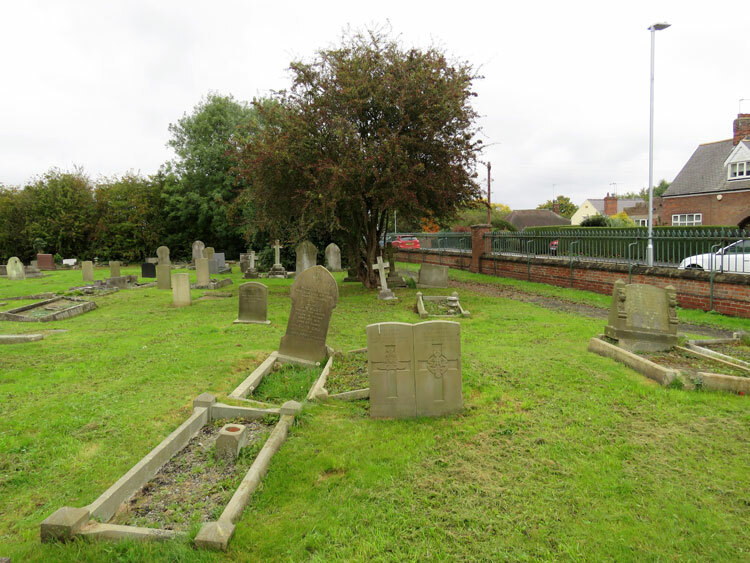 Behind these headstones, on the left, is a family memorial to Private J W Wiles of the East Yorkshire Regiment. 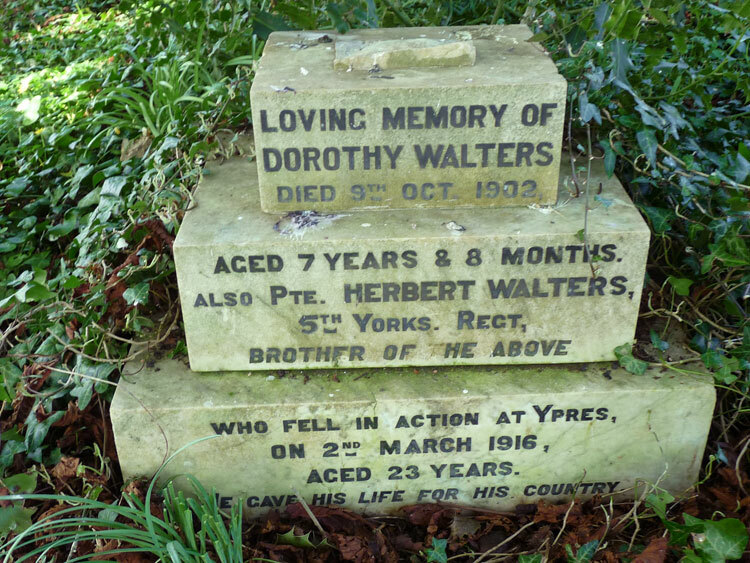 The Walters Family Headstone on which Private Herbert Walters is commemorated. Private Herbert Walters, 1938. 5th Battalion. Killed 2 March 1916. Born Beverley (Yorks), Enlisted Beverley. 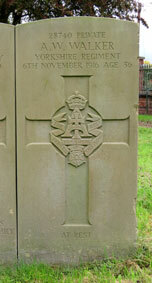 The Quaid Family Headstone on which Private James Quaid is commemorated. "PTE CHARLES E QUAID /1ST EAST YORKS REGT. / LOST IN FRANCE 1914, AGED 21. HERBERT, THEIR BROTHER / DIED JAN 24TH 1913, AGED 5. 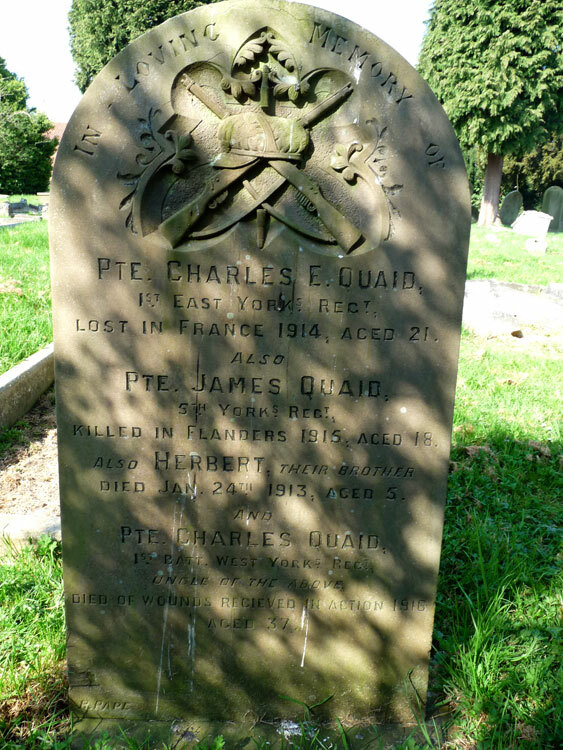 Private James Quaid. 1611. 5th Battalion the Yorkshire Regiment. Son of Walton E. D. and Ada Quaid, of 98, Keldgate, Beverley, Yorks. Killed 30 December 1915. Aged 18. 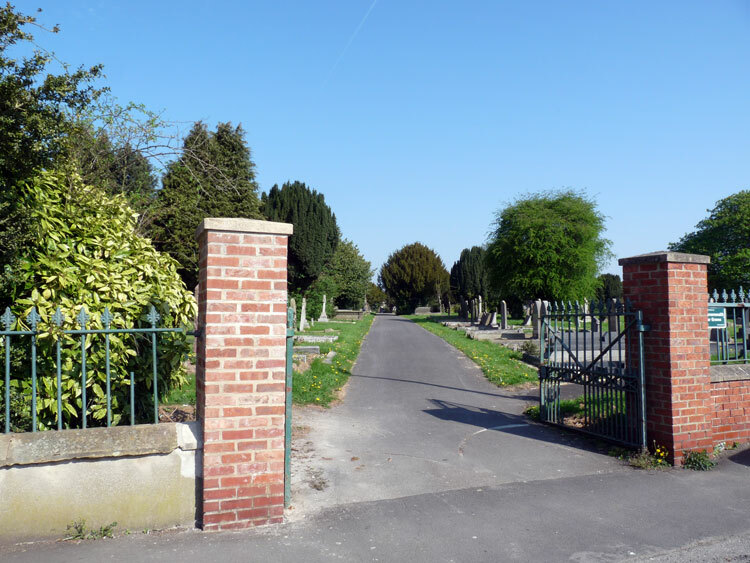 Beverley (St. Martin's) Cemetery - Private Walker's Headstone on the Right.